If chasing a young child around the house during mealtimes is a familiar sight in your home, you may want to sit them down at the table after reading this. A three-year-old girl in Jiangxi, China was running around the living room while having dinner with her family last Thursday (April 11) when she fell onto a chopstick she had been holding in her hand. It pierced through the side of her mouth and into her skull. The terrifying sight gave the girl's parents the fright of their lives, and saw them rushing her to a small hospital near their home for help. It was lodged in so deep, the end of the chopstick could be felt from the back of her neck. Seeing a need for surgery, doctors there referred the family to Central South University's Xiangya Hospital. When they arrived at the hospital, eight hours had gone by. 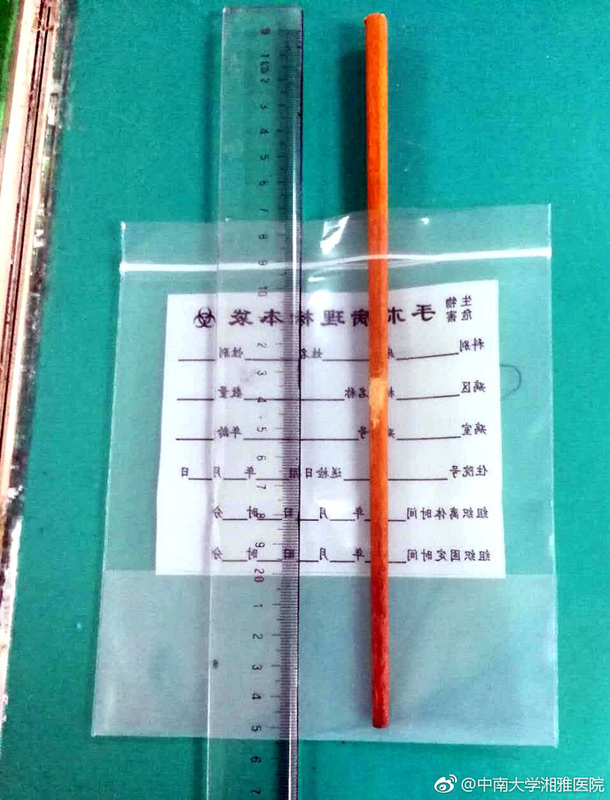 A CT scan revealed that 10cm of the chopstick was lodged in the child's head -- narrowly missing vital parts such as the brain stem, carotid artery, and neck vertebrae. Although there was no visible bleeding from the wound, there was a risk of haemorrhage after the extraction of the foreign object, doctors said. The position of the chopstick in the girl's skull also posed a problem when it came to administering anaesthesia for the operation. Despite the challenges, doctors decided to go ahead with the surgery. The chopstick was successfully extracted and the girl is now in stable condition, kept under observation for potential complications. 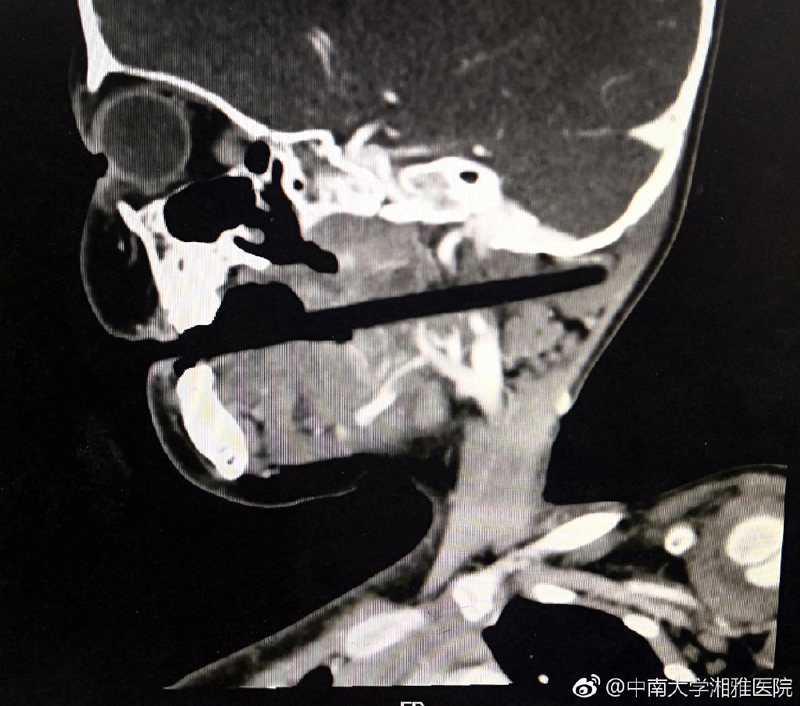 The Ear Nose & Throat specialist who treated the girl said: "It's very fortunate that the chopstick missed her vital organs, only the soft tissue was affected." Parents, no more horsing around during dinnertime, and remember to keep sharp objects away from your kids.